Construction: today’s commercial buildings are over-specified and under-used, but we could use less material to make buildings that last much longer. 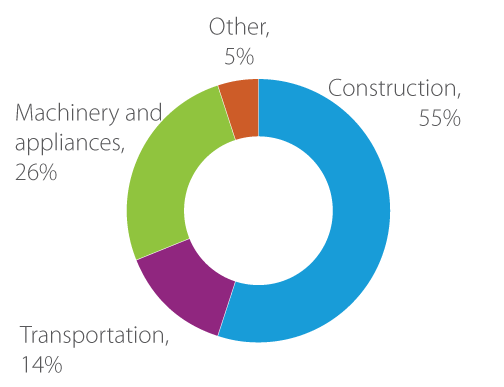 Half of the world’s steel production and all of its cement is used for construction, which therefore accounts for around a third (Figure 1) of all industrial emissions and has great influence over our total demand for material production. Most of this material is used in commercial construction and infrastructure projects, so that has been the focus of our work rather than the brick built houses in which most of us live in the UK. The demand for materials in construction is driven by the rate at which we expand our total stock of buildings, the rate at which we replace them and the choices made by clients, architects and structural designers about the selection and use of materials in construction. These are therefore the areas in which demand for materials can be influenced. In steel framed buildings, most of the steel is used in the horizontal beams – the vertical columns typically require less than 10% of the material in the building. These beams, familiar from walking past any building site, have a cross-section like a capital “I” – I-beams – and are made with aconstant depth. However they shouldn’t really have a constant depth: a beam’s tendency to bend is greatest at its centre, and it should therefore be deeper here (Figure 2). If these steel I-beams had variable depth, they could be a third lighter without the users of the building noticing. However, it is cheaper to make constant depth beams – typically by rolling them out in long lines – and it would cost more to use less steel so the construction industry has little motivation to change. Surprisingly, though, when we started to look at the designs of buildings with constant depth beams, we found that even ignoring this opportunity for optimisation, designers are typically over-specifying the amount of steel in the building by 30-40%. There are cost savings from using fewer variants of beam in a building – for example through allowing use of many identical joints – but the main driver of over-specification seems to be an unjustified conservatism. Designers are concerned that clients will change the specification of their building at a late stage, so build in extra capacity “just in case” even though none of the designers we spoke to had ever been required to use this surplus. 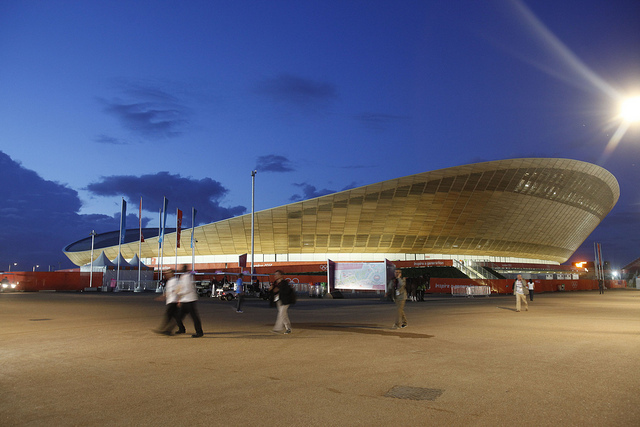 When clients insist on having lightweight efficient buildings, designers know what to do and in a study of two buildings at the London Olympics we found that a simple change in the first line of the “brief” for the Velodrome – that it should be a lightweight building – led to a saving of 50% of the material used in a different building whose brief instead began with the specification of a “signature roof.” This suggests that avoiding over-design – designing for purpose not surplus – is not a technical challenge, and may involve little if any additional cost, but will occur when clients request it. We’re therefore now working on a guide for the clients of commercial buildings to assist in specifying their building in such a way to avoid over-use of materials. "Commercial buildings in the UK are typically designed to last for 100-200 years, but on average are replaced after 40-60 years." Commercial buildings in the UK are typically designed to last for 100-200 years, but on average are replaced after 40-60 years. The reasons for this early replacement are not fully clear, but primarily it seems that the very high price of land in the UK (generally much greater than the cost of the building on the land) drivers decisions to replace buildings whenever rents could be increased for a different building design. Such replacement decisions are also influenced by choices made by local planners – and when restrictions on usage or building height change, this may immediately lead to further building replacement. Yet many of the buildings we associate with national heritage – whether King’s College Chapel in Cambridge or the Chrysler Building in New York – won’t ever be replaced, because they are part of the city’s identity. When we choose to maintain buildings, we can do so indefinitely and adapt them as required, but for most buildings we instead prefer to replace them. "Deconstructing rather than demolishing buildings preserves the integrity of original components, which are generally undamaged during building use"
Clearly this suggests that a stronger emphasis on the heritage value of new building projects would help to reduce material demand. 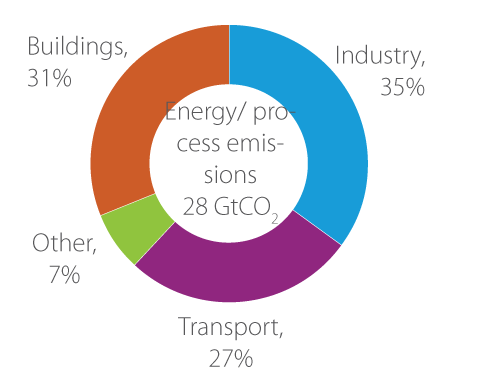 But potentially, the elements of buildings that are to be replaced could be re-used. Deconstructing rather than demolishing buildings preserves the integrity of original components, which are generally undamaged during building use, so technically re-using components such as steel I-beams could be an attractive way to reduce demand for new materials. Unfortunately the additional costs of deconstruction, along with testing, cleaning and re-fabricating the connectors for old beams is costly, and our evidence so far suggests that re-use will often be more expensive than using new steel. The exception to this occurs when buildings have been designed for reconfiguration. A move towards constructing adaptable buildings with strong heritage value could help significantly to reduce material demand in construction.